Canopy Growth is moving farther into the Canadian hemp market with the acquisition of hemp land in Saskatchewan that could scale to over 2,000 acres. The medical marijuana producer, which trades on the Toronto Stock Exchange as WEED, on Monday announced the acquisition of Green Hemp Industries. 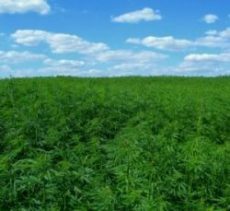 In addition to buying farm operations and associated assets, equipment, genetic stock and other property from the company’s principal, Jason Green, Canopy will operate about 300 acres of existing hemp production. Canopy said it anticipates that acreage will be scalable to 2,200 acres for the 2018 growing season. Once the deal closes, Canopy will reimburse Green for crop “input expenses” and give him 24,576 common shares of Canopy stock. Canopy expects to issue up to another 24,576 common shares if Green’s company hits certain production-related milestones. Green also will head up Canopy’s hemp division. Canopy’s move comes a week after Canada unveiled industrial hemp regulations that would allow Canadian hemp flower to be used in extracting cannabidiol. Currently, Canadian hemp can be grown only for stalks and seed. Canopy spokesman Jordan Sinclair told Marijuana Business Daily that the large marijuana producer is “trying to get ahead of the curve” in the emerging CBD market and use existing extraction equipment to produce CBD from hemp. It’s Canopy’s second hemp-related move this year. In January, the company completed the acquisition of Mettrum Health Corp., which makes hemp-based foods.